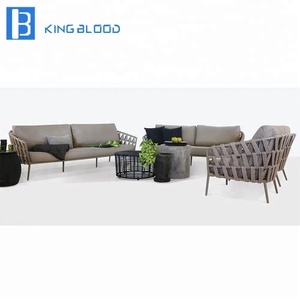 1 YRS Foshan Kingblood Furniture Co., Ltd.
1 YRS Foshan Sanshui Hangkai Furniture Co., Ltd.
2 YRS Anhui Moda Furnishings Co., Ltd.
4 YRS Foshan Jinxiu Hardware Co., Ltd.
2 YRS Chongqing Haoyida Outdoor Facility Co., Ltd.
3 YRS Ningbo Jonsun Imp.& Exp. 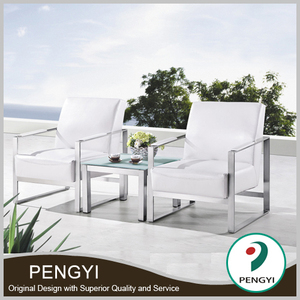 Co., Ltd.
We have more than 3,000 styles for your options decoration your garden and home. Material: 1. Aluminum frame or steel frame with powder coated for garden and outdoor, dining and restaurant using. We have professional sales service team reply your any question quickly. 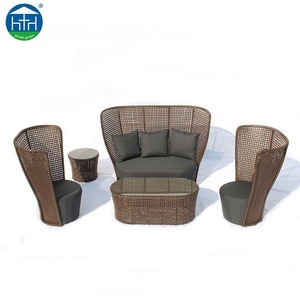 13 YRS Wuyi Husen Outdoor Product Co., Ltd.
3 YRS Dongguan Qianfeng Houseware Co., Ltd.
About us: 1.Our factory is more than 12000 square meter big. 3.we have professional sale team and more than 200 workers. 2.Confirm the order details and then Confirm the PI. 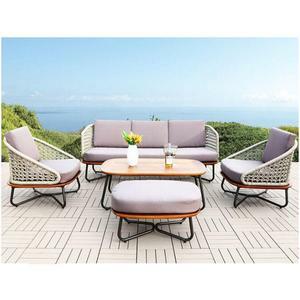 5 YRS Foshan Lefo Furniture Co., Ltd.
1 YRS Foshan Nanhai Siyangxuan Outdoor Products Co., Ltd.
3 YRS Aolifu Industrial (Shanghai) Co., Ltd.
9 YRS Foshan Sun Master Furniture Co., Ltd.
Q1. What is your terms of packing9 A: Generally, we pack our goods in brown cartons. Q4. How about your delivery time9 A: Generally, it will take 30 to 45 days after receiving your deposit. Q5. Can you produce according to the samples9 A: Yes, we can produce by your samples or technical drawings. 1 YRS Foshan Ruita Houseware Technology Co., Ltd.
3 YRS Hangzhou Ever Shine Outdoor Products Co., Ltd.
1 YRS Wuhan Meisiert Household Products Co., Ltd.
10 YRS Guangdong Maryard Furniture Co., Ltd.
1 YRS Foshan Artsun Furniture Co., Ltd.
We are reliable of your source, and we are worthy your trust. 4. Yearly output of 80000pcs furniture and 400 containers. 1. 30% down payment before production and balance before shipment. 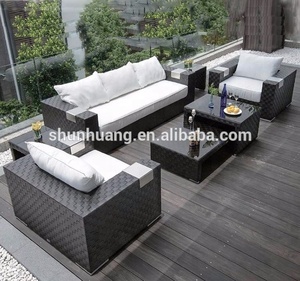 Alibaba.com offers 47,529 outdoor sofa set products. 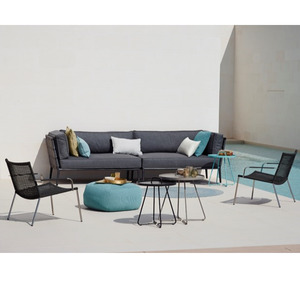 About 46% of these are garden sofas, 41% are rattan / wicker sofas, and 33% are garden sets. 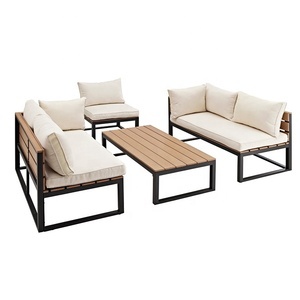 A wide variety of outdoor sofa set options are available to you, such as metal, rattan / wicker, and fabric. You can also choose from set, three seat, and one seat. As well as from free samples, paid samples. 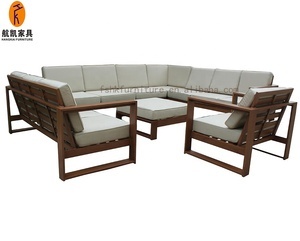 There are 47,529 outdoor sofa set suppliers, mainly located in Asia. 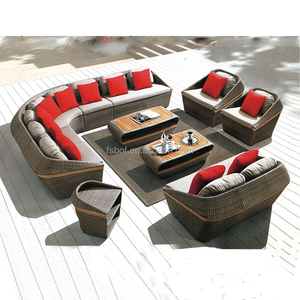 The top supplying country is China (Mainland), which supply 100% of outdoor sofa set respectively. 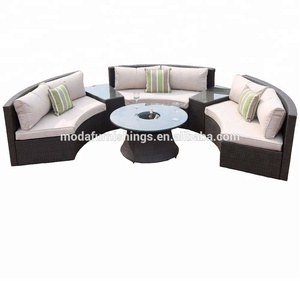 Outdoor sofa set products are most popular in North America, Western Europe, and Northern Europe. You can ensure product safety by selecting from certified suppliers, including 3,987 with Other, 3,936 with ISO9001, and 1,809 with BSCI certification.